• "Fearn, (John) Williams Walker "Walker"
Having been prepared in Mobil at the academy of Dr. Norman Pinney, entered YC at the age sixteen and graduated with "distinguished honors." We went back to Mobile, read law with future court justice John A. Campbell, and was admitted to the local bar on his twenty-first birthday. Quite soon he practiced before the U.S. Supreme Court. 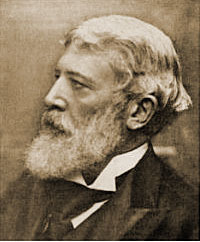 A lover of travel and a student of languages, Walker happily accepted the offer to become secretary of the legation to Brussels in 1853, and used the opportunity to listen to international law lectures in Paris, before becoming secretary of the legation to Mexico, where he would work closely with the minster, John Forsyth, the journalist. In Mexico Walker gained attention as an explorer, ascending Iztaccihuatl and Popocatreperl. His account of descending into the crater of the latter volcano gained widespread publication and attention. Next, according to the class secretary, came an extended trip with his father, when he "spent several years looking to every nook and corner of Europe." In 1861, before the war broke out, Fearn was a member of a confederate commission "to induce the peaceful intervention of foreign powers." Fort Sumter dashed these hopes, and upon his return from Europe Walker had to run the blockade under fire with his charge being "eleven hundred barrels of explosive." Soon safe in Richmond, he was appointed a lt. col. On the staff of Gen. Joseph E. Johnston, but this was soon set aside so he might accompany L., Q. C. Lamar to Russia as secretary. When the Czar refused to receive Lamar, Fearn returned to the U. S. and joined the staff of Gen. William Preston. He and Preston, however, were soon sent to Mexico on yet another failed diplomatic mission. Late in the war he would be again in the field, this time as an AAG to Edmund Kirby Smith. At war's end Fearn settled in New Orleans and devoted himself to admiralty law. In 1884, he could not resist, however, the offer of the chair of Spanish and Italian at the new Tulane University, but his appointment as U.W. Minister to Greece, Romania, and Serbia in April 1885, would pluck him from academic life. In 1887, with the change of administrations, he established an international law firm with offices in London and New York City, remaining until 1891, when he became chief of the Dept. of Foreign Affairs of the World's Fair in Chicago. When the fair closed, President Grover Cleveland appointed Fearn a judge of the court of first instance on the International Tribunal in Cairo, Egypt. Before he left, fortunately, Yale recognized his attainments with an honorary M. A. Fearn would return to American in failing health and died not long after. Thomas C. DeLeon, who knew the young man in Mobile, was Walker as a "courtly, gifted and accomplished man, who gave earnest of the later high acquirement which made him a marked type of the southern gentleman and diplomatist." • Alabama Biography - History of Alabama and Dictionary of Alabama Biography, Volume 3 By Thomas McAdory Owen, Marie Bankhead Owen, 1921, p. 566. • Find A Grave - Page created by PLD offering biographical & genealogical information, a photo of Fearn and a photo of his grave. This page was last modified on 25 August 2013, at 19:12.